The Hospice and Palliative Nurses Foundation is proud to honor a pioneer in palliative nursing, and recognize the ultimate clinician scholar, through the Nessa Coyle Palliative Nursing Leadership Fund. The purpose of this fund is to develop and support leadership skills in hospice and palliative nurses from the bedside to the boardroom. Palliative nursing leadership is not only a fundamental aspect of healthcare reform, but also a necessary ingredient of quality palliative care. Through enhanced palliative nursing leadership, the specialty of palliative nursing contributes to the realization of the Triple Aim in healthcare; namely, better care, better health , and lower cost. Click on the link below to donate to the fund, or send any donations by mail to the Nessa Coyle Palliative Nursing Leadership Fund, c/o Hospice and Palliative Nurses Foundation, One Penn Center West, Suite 425, Pittsburgh, PA 15276. Nessa Coyle, RN PhD FAAN, is a nurse practitioner with special training in the care of symptomatic advanced cancer patients and families, and in end-of-life care. 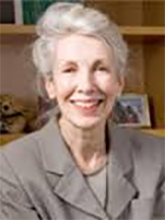 She has worked at Memorial Sloan Kettering Cancer Center in New York since 1969, and is a member of their Palliative Medicine Service, Ethics Committee, and clinical consultation team. She is responsible for a nurse practitioner fellowship program in pain and palliative care at the facility, and is the co-editor of both The Oxford Textbook of Palliative Care Nursing and The Nature of Suffering and the Goals of Nursing. Dr. Coyle is a graduate of the Columbia University Adult Nurse Practitioner program and has a PhD in nursing from New York University.